As reported, the Love Live! Sunshine!! 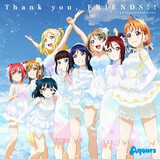 franchise's nine-member voice actress unit Aqours will hold "Aqours 4th Love Live! SAILING TO THE SUNSHINE," their first live concert at Tokyo Dome (capacity: 55,000) on November 17 and 18, 2018. The franchise's official YouTube channel has started streaming a preview for the concert's theme song "Thank you, FRIENDS!!" Check out their brand new song after the jump! According to the newest Oricon sales report, "Love Live! 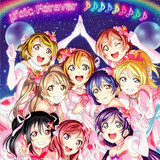 μ's Final Love Live! 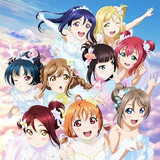 ~μ'sic Forever♪♪♪♪♪♪♪♪♪~ Blu-ray Memorial BOX" sold an impressive 71,000 units in its first week, becoming the top-selling Blu-ray of the week in Japan. Hit the jump for more details and its 45-minute digest video. 36-year-old anime voice actress Nana Mizuki held her second Tokyo Dome concert, titled "NANA MIZUKI LIVE GALAXY 2016" on this Saturday and Sunday, attracting 80,000 audience in two days. Her first concert at the internationally famous baseball stadium was held in December 2011. Hit the jump for more details.